This is an easy to hear audiobook on global business, written by one of America's foremost experts. It is written in one-liner format. This means you have no excuse not to listen to it! This book briefly covers all areas of global business, but is easy to quote and remember, because the bullet points are clear, concise, and memorable. It includes a travel list to carry with you on trips abroad. 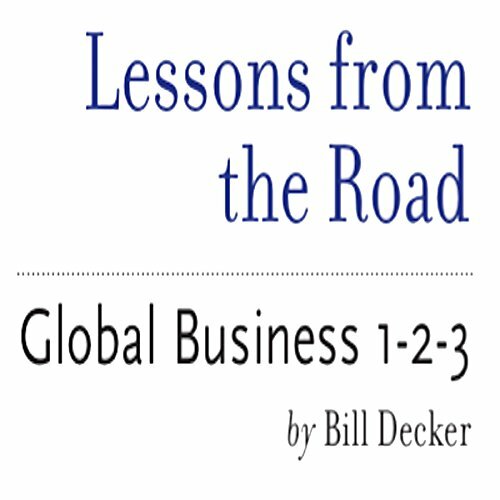 It won't teach you all you need to know about Global Business, but give you a good list of everything you need to be thinking about in International Business. Before you spend thousands of dollars and a great deal of time and effort thinking about Global Business, spend 25 minutes listening to this audiobook.